Restoril in Your Body - How Long Does Restoril Stay in Your System? Restoril in Your Body – How Long Does Restoril Stay in Your System? Temazepam, more commonly known as Restoril, is a benzodiazepine derivative falling under the 3-hydroxy benzodiazepine family. It is famous for its fast acting, hypnotic capacity as a drug and over time has found ready remedial applications in situations connected to chronic insomnia. It usually leaves your body within one to two days. However, it can be detected in hair several months after use depending on dosage and frequency of use. But that’s the tip of the iceberg, and the answer to how long does Restoril stay in your system depends on several factors that we’ll explore shortly. Because of its highly addictive as well as hazardous properties, it is well stipulated standard practice that Restoril is a last resort medication that should only come in when other drugs didn’t work. Well, there is no scientifically defined period for which Restoril should stay in your system. Several factors actively contribute to the duration of Restoril in your system. Your metabolic process, your age, hydration levels if you have had any health condition before in the past and even possibly your physical activity can all attribute to this duration. Such factors cumulatively contribute to how long Restoril would stay in your body. It is a fundamental law that an increased quantity during the administration of Restoril would spell a longer duration time before the drug leaves your system. A lot of the metabolic procedure of Restoril actively involves the liver. Thus we see that when one has a liver condition, Restoril is going to stay longer in his body. Also connected to the duration is how often you use it, this is why a small one-time dosage could readily leave your system when compared to long-term sustained usage. Restoril belongs to the Benzodiazepines family; it would be relatively challenging for drug tests to pick out a little dosage of Restoril. But detecting Restoril in your body is well dependent of which kind of drug test you take. 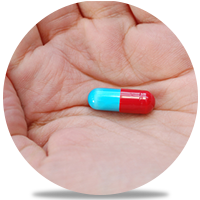 It ‘s hard to test for the abuse of Restoril in a drug test majorly for the fact that Restoril just like diazepam or many of the other benzodiazepines would take the same pathways when they are getting metabolized. How Long Does Restoril Stay in Your Urine? On a more general note, however, we see that Restoril would be positive on the standard urine drug screen which is many times deployed in the tests for employment. The regular dose you are given should come up positive in your urine drug screen for about a week or even lesser at five days. But in the case where the dose administered to you was heavier, we might see Restoril being in your urine for almost six weeks. How long does Restoril stay in your blood and saliva? With this relatively increased dosage, Restoril could still be in your blood for two days. And in your saliva, Restoril could stay for about nine days. How Long Does Restoril Stay in Your Hair? A hair follicle test can detect drug use several months ago, as drugs tend to leave your hair very slowly. Restoril also has its way of staying in your hair for up to three months, especially for long-term users and/or high dosage users. Most benzodiazepines take the same path of metabolism. But in the more precise analysis, the half-life of Restoril is within eight to twenty hours (all other parameters being standard). By half-life, we are primarily referring to the duration it takes for Restoril to get metabolized up to fifty percent in your body or even less. With this half-life of 8-20 hours in mind, if intake of Restoril is a continuous process (sustained and regular administration of Restoril), the metabolic process of the drug will slow down. Likewise, taking Restoril in high dosage will have the same impact. Restoril is a fast acting drug. Upon administration, it can kick into action within twenty or even ten minutes. The drug usually reaches the peak levels in 90 minutes. From there the metabolism of the Restoril starts in two phases spreading across the short phase and the long period. The duty of metabolizing Restoril is principally designated to the liver. From the liver, a wholesome percentage of the Restoril gets secreted into your urine. Restoril falls under the classification of a short- to intermediate-acting benzodiazepine. One thing that would contribute actively to the duration a benzodiazepine would stay in your body is the nature of benzodiazepine. Short to intermediate-acting benzos take between 5-24 hours to get to fifty percent or less in your system. Restoril the benzo that we are examining here is classified under short to intermediate-acting benzos. So, to answer the question how long does Restoril stay in your system, a normal dosage shouldn’t take past one day in your system. But as has been earlier highlighted, this is not wholly definitive as variations could still stroll in like the dosage and sustained or regular administration. Addiction Resource » Addictive Substances: The Anatomy of Drug Addiction » Restoril – What is it? How is it Abused? What are the Treatments? » Restoril in Your Body – How Long Does Restoril Stay in Your System?